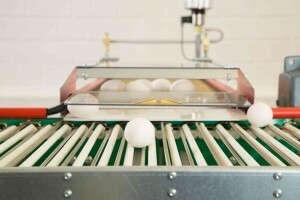 Lubing egg Input unit - B & M Slots Pty. Ltd.
To reduce the number of cracked eggs at a transfer point, Lubing has developed the egg input unit. This unit can be easily integrated into existing conveyor lines, and can reduce the incidence of hairline cracks in conveyors using ‘up/down’ chain for steep inclines by as much as 60%. 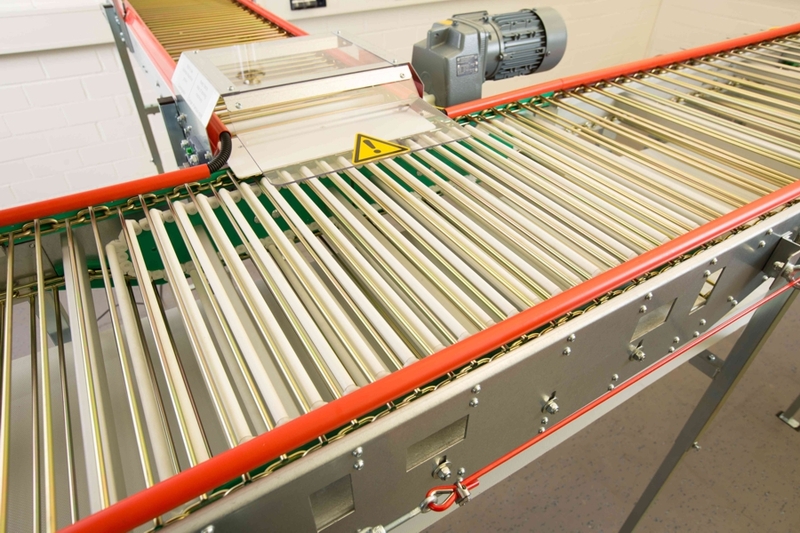 Transfer points are always a critical area for egg conveyors, and at 90 degree transfers the eggs have to roll onto a surface which is not level as rods of steep conveyors are uneven. 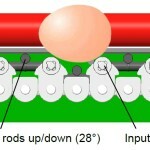 The egg input unit solves this problem by providing a much more level surface for the transfer to take place. According to Rod Nowell, B & M Slots technical services manager – “In the past we always tried to avoid steep conveyors due to the higher incidence of cracks when using the up/down chain required to achieve higher inclines. 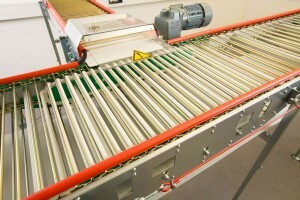 The Lubing egg input unit overcomes this problem, which allows us to utilize steeper conveyors without hairline cracks. This is especially important in the broiler breeder market”.